can i use True Tones as a message alert tone? What does Symbian does? please help! Hi guys, i just got a 256MB plus Kingston MMC. the max video recording which i got from this card was of 60 min at high quality video. How much do u guys get? can u please help me out with this. what does "Symbian" does? What's its significance? :D Please answer me! hi guys, can any1 tel me whr can i download those dictionary stuff into my fone ? the nokia 6230i is a vry gud fne acordin 2 me. it has evryfin!! !de only drawbak is dat its screen size is jst toooooooo small and as its size is new on the market the wallpapers and themes r vry rare & also when de same videos r seen twice de fne freezes. I want to download tunes onto the mp3 player, but my PC is on 98 SE.the software is not compatible. How do I get round this? Please help! Thanks for the valuable information. In fact here EDGE costs 3 Dollars for a month for 'UNLIMITED' internet access which is much much cheaper than broadband especially when speeds for broadband here are only 2 times faster at 30 kbps. (actual speed). This is why I was exploring this option. It can record video/voice up to 1 hour. but the voice recoder would beep every 10 seconds as it is illegal to record people's conversation. i have the same problem. its some software problem. get the phone flashed or get a updated version. 3.4 is out now... over all i think this is a really good phone only the dam thing has to work properly. cmon some solution has to be ther rite? worst part is mine is a 256mb card n i cant think of discardin it..
blade - i had to throw out my old mem card plainly because i forgot the password. i know how frustrating it is. up till now, i dont think theres any solution to this. this is why i've posted an advice a while ago about enabling password for mem card... i strongly discourage it - especially when, after enabling it, other people can still access to its content. enabling it has very little value. CrazyFor6230i - i haven't logged in into GsmArena for quite a while. anyway, sorry to inform that the last time i used EDGE was last year on my 6230. i've wireless broadband at home and has since stopped using EDGE/GPRS (it's too expensive in comparison to broadband). i've read a recent article in a magazine where 6230i was used for EDGE connection via BT on a Toshiba laptop - the reviewer found no flaws. a fact u shld know is: check if yr area has EDGE coverage with yr telco. usually EDGE is only provided in big cities - whereas other areas only have 'normal' GPRS coverage. the unimaginable has happened.... i seemes to have forgotten my memory card password.. n ive been tryin to crack it for d past one day. i have 3 phones like this and not one of them work perfectly turn 0ff and inn by himself so ... it's not the nokia that was before and a verry strange fact ! 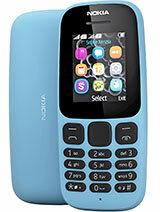 all the new nokia starting with new software and screens with 65,k have a lower volume of radio (2 volum lines) lower than old nokia like 7210.7250,6610,6610i,6220 and 5100. why ?